Haines City Trail, Polk County, FDOT District 1 - Faller Davis & Associates, Inc. 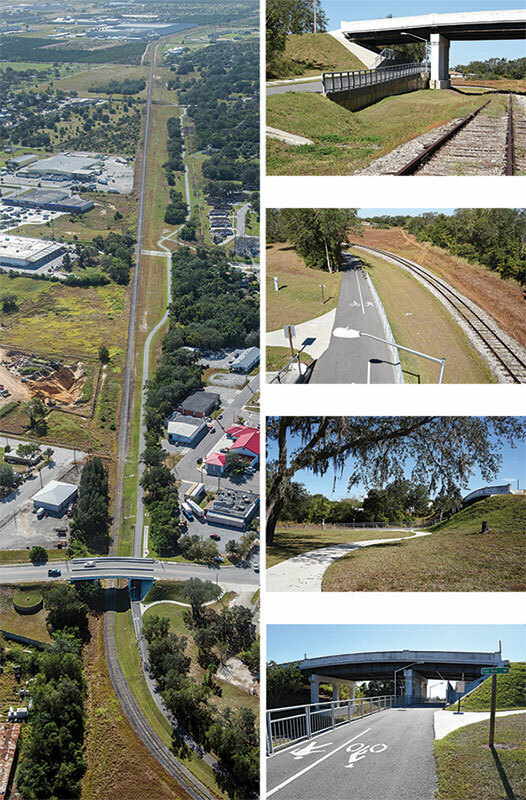 The trail project converted the Haines City Railroad corridor into a scenic, multi-use recreational path. This community amenity has been provided to promote a healthy lifestyle and to encourage people to walk to the downtown area. The project constructed 1.6 miles of 12′ asphalt trail and 8′ sidewalk to connect the Haines City downtown area to the Lake Eva Community Park.